Purpose and Scope: The purpose of the document is to provide best-practice guidelines for an integrated methodology that aims to enable, assess, and assure the real-time performance of secure wireless systems in smart manufacturing systems. These guidelines also aim to enable users, manufacturers, technology providers, and solution providers to design, select, deploy, configure, and assess robust, safe, reliable, and secure integrated wireless systems, with consideration of any co-existence and interference avoidance issues in smart manufacturing systems. 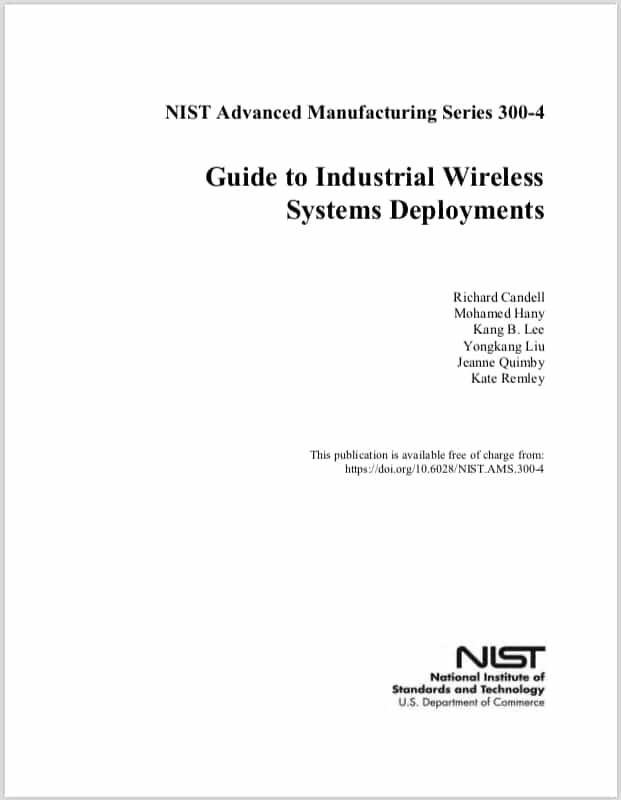 Intended Audience: This document is intended to be used as a practical guide by control engineers, operational technology professionals, information technology professionals, chief executives, security executives, factory floor managers, and wireless system integrators interested in deploying wireless systems in industrial environments. Download "Guide to Industrial Wireless Systems Deployments" document here.